You can’t control accidents! Can you? This seems to be unpleasant but it’s true and so in the case of your phone. For instance, you can’t stop your phone dropping accidentally which may result in your broken screen. However, with such accidents, come the doubts regarding our important data stored in the device. 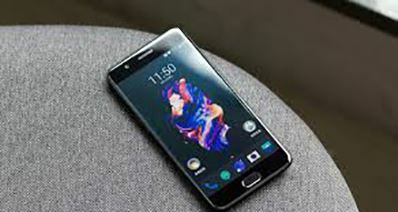 But in this time of technology, you can delegate your worries to some commendable software through which you are capable of retrieve your data from your Samsung galaxy broken screen with ease. Now don’t doubt about which software and how you will do that, just read on and you will find everything yourself. Please do not touch the Samsung Galaxy broken screen to prevent extra damage. It may also result in scratching or cutting of your delicate fingers. Try not to clean the broken or cracked screen of our device manually. It might sound harsh but you need to give up on your phone for some time as there’s a need to take your phone to the nearest repair store. The professionals will surely give you a hand. But wait! You can never judge how the repairman will fix your phone. Maybe he needs to wipe off your data while fixing the device. Therefore, ensure to make backup of your data before handing over your smartphones to the repair center. 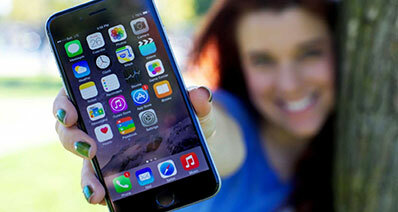 Now the question arises, how to recover data from a device when you can’t even access it? There could be a couple of possible ways by which you can backup your data without even touching your device. All you need to do is plug your device into the computer with the help of a USB cable and follow the steps listed in this article to know how to backup your data. Using a USB cable, connect your Samsung Galaxy to the computer. You will notified by “Connected as a media device” on your phone. You will find your phone’s data i.e. SD card’s data and internal phone’s data appearing in the “Removable Disk Drive” in “My Computer” screen. Select the files you need to backup. Copy them and paste in your computer. Or you can drag and drop the files too. It’s done now. In last, head to the notifications and select “Turn off USB Storage”. You have placed your files safely in your computer. 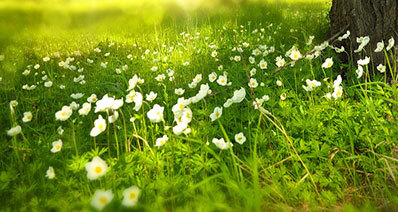 But unfortunately, by simple copy and paste backup method you are not able to backup your complete data. In other words, if you backup Samsung Galaxy simply by connecting with your computer, it will not let you backup your contacts, call history, text messages, etc. 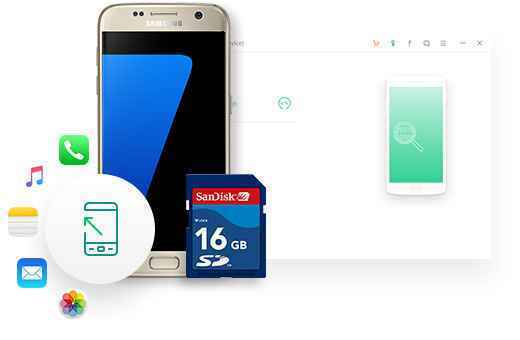 To fully recover data on Samsung Galaxy broken screen, here is worthy software for you - iSkySoft Toolbox - Android Data Extraction. 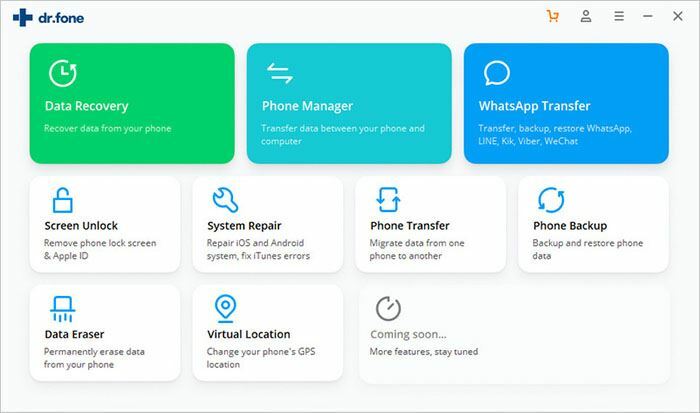 It will let you recover full data of yours like your videos, photos, call history, texts, contacts or documents or even WhatsApp data that you were not able to do by only connecting phone to the computer. Not just Samsung Galaxy broken screen, this software fully supports damaged devices in different scenarios be it black screen of death, system error, home key not working or by chance you forget your lock screen password. 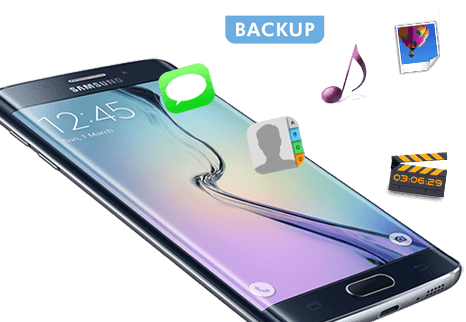 With just simple and easy steps, you will be able to recover data on Samsung Galaxy. 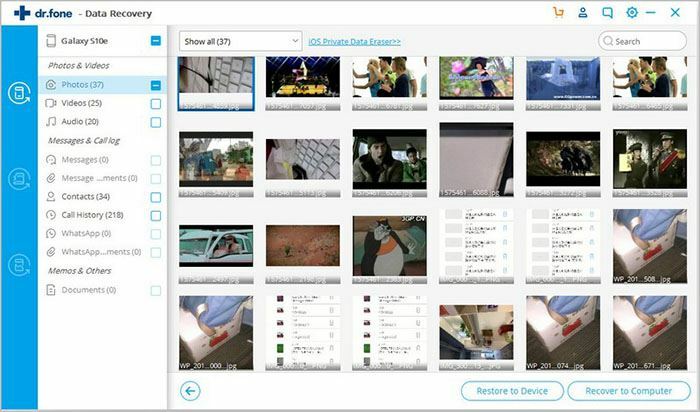 iSkysoft Toolbox – Android Data Extraction equips you with the hassle-free way to recover data from your device efficiently and that too, with just a few clicks. Let’s get to know a step-by-step tutorial to recover data from a device with a broken screen. Launch the toolbox for Android in your computer. Connect the broken Samsung Galaxy with the computer and choose the “Data Extraction (Damaged Device)” option. Here in the next window, you will observe all your files selected by default. You may verify which files you need by selecting or unselecting them. Click on the option “Next” after that. Next, you need to click one from two statuses i.e. 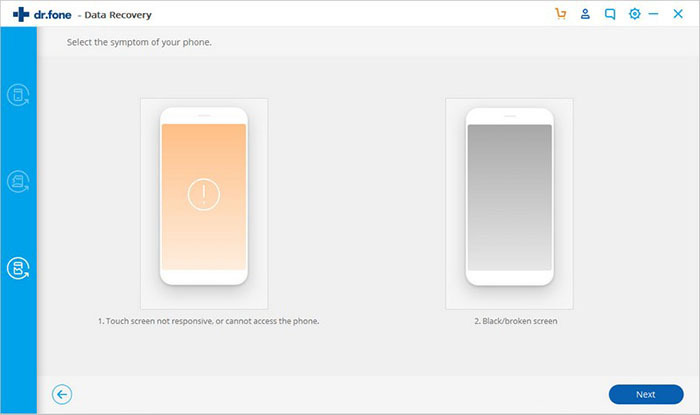 “Touch doesn’t work or cannot access the phone” and “Black/broken screen” to match your device’s status. A window comes into your view subsequently, which will ask you to choose the correct “Device Name” and “Device Model”. After doing that, type “confirm” to make sure the information is correct. Follow the instructions to enter the Download Mode. The software will perform downloading recovery package. Now preview the files by selecting them. 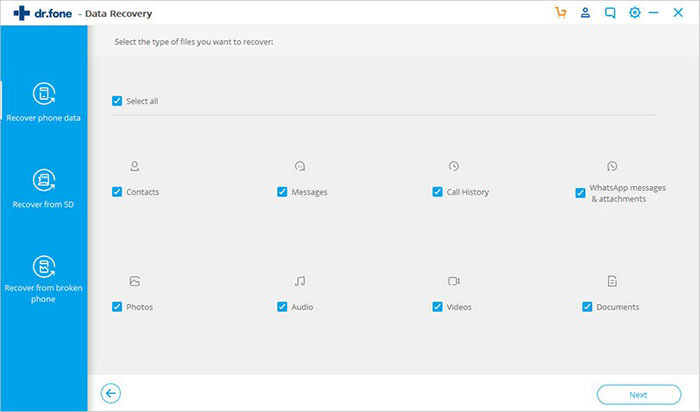 Select “Recover” to save the files on the computer. Now click “Back” and then “Exit Recovery Mode”.